On Sunday, July 1st The Circus In Flames will help celebrate Canada Day in the West End. The band will perform at 3:15 PM on the main stage located at Robson & Cardero. Other main stage performers include DEEP // SEATED and Marine Drive. 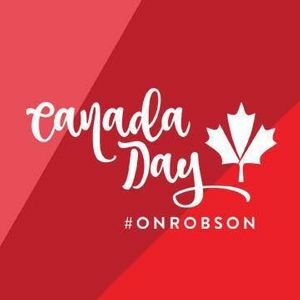 Canada Day #onRobson takes place from 12 to 4 PM and Robson Street sidewalks between Burrard and Denman will be filled with the sights, sounds and tastes of music, entertainment, giveaways, business promotions and treats. Be sure to join us!